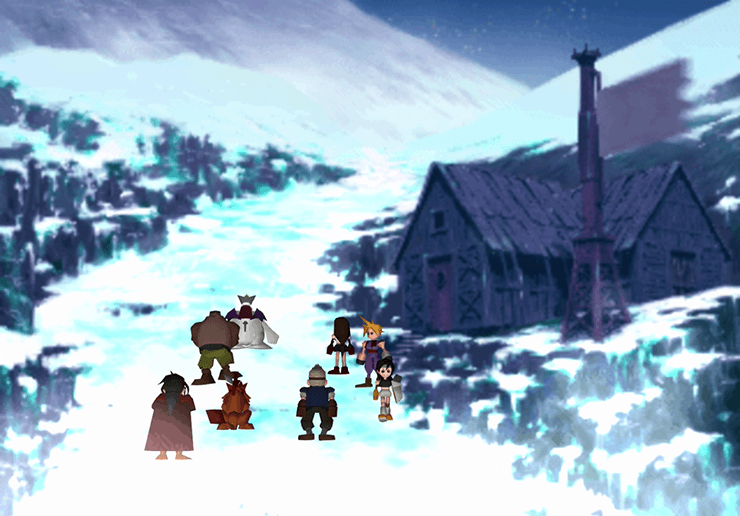 A complete walkthrough for the Gaea's Cliff in Final Fantasy 7 (FFVII) including enemies appearing, obtainable items, and boss strategy guides. Enemy Skill – Trine Can be learned by battling a Stilva. Use a Manipulate Materia to make it use the skill on your team. However, make sure you have the Enemy Skill Materia equipped to learn it. Enemy Skill – Bad Breath Can be learned by battling a Malboro. Use a Manipulate Materia to make it use the skill on your team. However, make sure you have the Enemy Skill Materia equipped to learn it. Ribbon Located in a secret room inside Gaea’s Cliff’s Cave. Javelin Located inside Gaea’s Cliff’s Cave. Fire Armlet Located in the right side of Gaea’s Cliff’s second cave with the icicles. Megalixir Located in the left side of Gaea’s Cliff’s second cave with the icicles. Speed Source Located in the area where the Icicles fall. Enhance Sword Located on a cliff to the right of the Save Point where the icicles are. Dragon Armlets Won when defeating Blue Dragons. When you’re ready, head to the north path near Mr. Holzoff’s house. Make sure to take note of Cloud’s body temperature as you ascend the cliff. Keep his temperature between 26 and 38 degrees. Remember to stop at checkpoints to keep warm and maintain Cloud’s body temperature. Continue upwards until you reach the cave. Head north past the ice bridge to reach the next section. Take a left then go down to get to the ice bridge. Cross it and continue going right to get to a secret room and find a Ribbon. Head north after getting the Ribbon to get a Javelin for Cid. Go through the doorway to the left of the treasure chest and head north. Examine the boulder once you get to the upper level. Choose to push the rock over to remove the icicles that were blocking the path. Head back to the lower area and go through the newly opened path that will take you outside the cave and back to the cliff. Head up the first fork, then go to the right when you reach the second fork. Once you get to the second cave, look for the save point at the far wall to save your progress. Head down a path on the right that leads back outside the cliff. Follow the path until you get back inside the cave again. Once inside, grab the Fire Armlet on the rightmost side of the room. Walk to the left side to battle the icicles. After defeating them, they will fall into another area of the cave. Defeat all four icicles to make a pathway in the lower area. Grab the Megalixir on the leftmost side before walking to the edge of the pathway and jumping down. Take the Speed Source on the left then head down to the newly open pathway where the icicles fell. Follow the pathway until you see a treasure chest containing Cloud’s Enhance Sword. This will lead you to another cliff face. In the third cliff face area, choose to go up on the two instances. Afterwards, you will get to a Save Point. Save your progress before entering the cave. Follow the path and defeat Blue Dragons. Prepare for a boss battle and save your progress at the Save Point. After defeating Schizo, heal up your team, save your game, and then head to the hallway. Climb the last cliff and head toward the Whirlwind Maze.